When I see the writing prompt “enchantment”, I am reminded of Taylor Swift’s song, “Enchanted”. 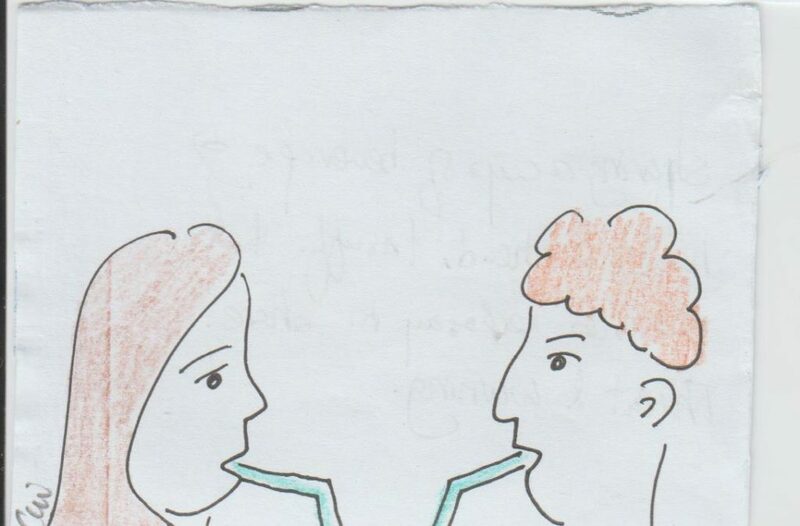 Since I’m sharing something from my collection, I’ve chosen this sketch of a couple sipping a shared drink, using straws. Dream interpretation of sharing a drink.